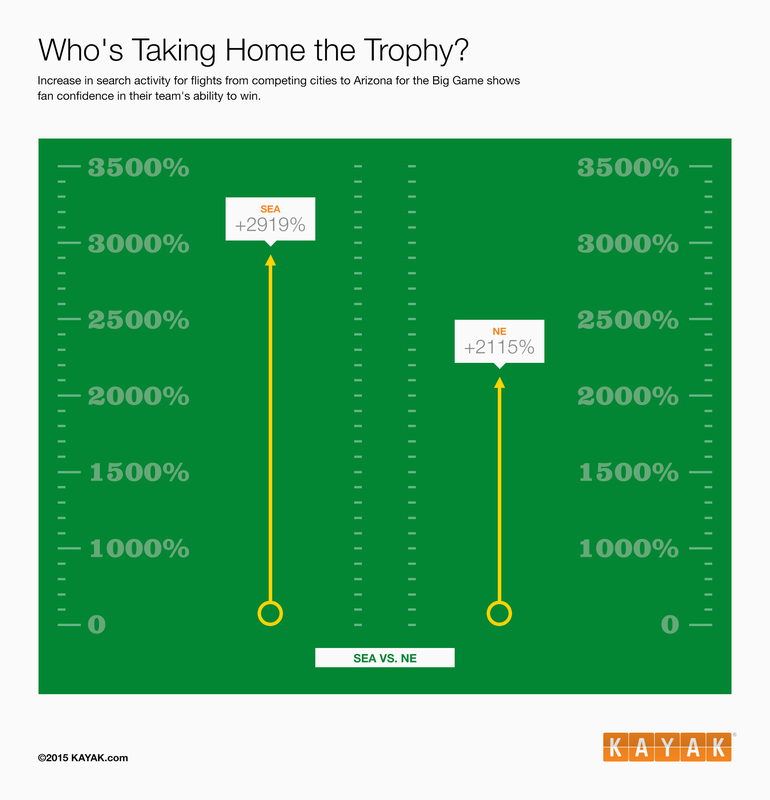 KAYAK is once again using its data to predict the winner in the Super Bowl — and they are going with the Seattle Seahawks. Using search activity in advance of the big game, KAYAK reports that there has been a 2,919 percent increase in search for Seattle vs. 2,115 percent for New England. And, like last year, Seattle is outperforming its opponent in search. KAYAK based their data on a year-over-year increase in share of searches between Jan. 18 and 21, 2015, from the Seattle and Boston areas to Phoenix for travel beginning anytime between Jan. 29-Feb.1 and ending Feb. 1-3. A quick search on Jan. 23, departing Jan. 31 and returning Feb. 2, showed the lowest fare from Seattle as $541 and Boston as $959. Get ready, Phoenix. Something tells us there will be a lot more Seahawks fans there. We’re bringing the Beast Mode to you.